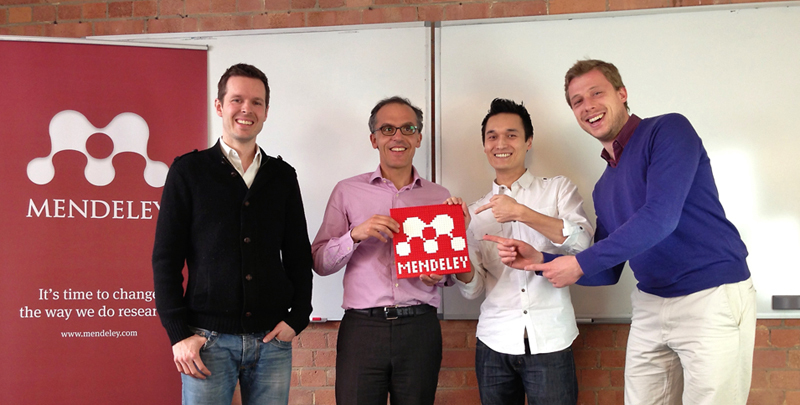 Welcoming Mendeley's founders: Olivier Dumon, Managing Director of Academic and Government Markets for Elsevier (holding Lego sign), welcomes Mendeley founders (left to right) Paul Föckler, PhD, Victor Henning, PhD, and Jan Reichelt, PhD. Mendeley is a company that has made a big name for itself with an innovative platform that helps researchers organize their work, discover the latest research and collaborate. As Managing Director of Academic and Government Markets for Elsevier, Olivier Dumon writes about how Elsevier started collaborating with this London-based company, and why joining forces will help both companies serve the research community better. When I joined Elsevier one year ago, the challenge handed to me was, how do we continually make our flagship products — ScienceDirect and Scopus — more useful and relevant to our users? In other words, how do we make their lives easier using Elsevier’s rich content and tools? ScienceDirect has always been a great platform for researchers to search and retrieve content, but there are also great opportunities in creating new environments for sharing that content — and in learning what happens to articles after they’re downloaded. A few people on my senior team quickly introduced me to a start-up they had first met in New York in late 2008, then again at the 2009 NextWeb conference in Amsterdam. Two of our colleagues had approached the co-founders, Victor Henning and Jan Reichelt, after a presentation they made. What came from that conversation was an immediate sense that we shared common goals; they, too, were working to improve the lives of researchers, only on a new platform based on what happens to the article after it is downloaded. Information about what articles are read by what kinds of researchers, and how people then collaborate with each other to produce original research, is potentially very powerful. Think in terms of improved readership statistics for individual research papers, papers shared between researchers with similar interests, and generated recommendations based on collaborative filtering. Exciting conversations ensued. When we opened our ScienceDirect application programming interface (API) to outside developers, Mendeley was the first company we reached out to. Soon after, they built the Mendeley Readership App (which provided information on how many users added an article to their library). We also supported Mendeley’s events; for example, we sponsored their Science Online London conferences on Open Science. Sometimes business collaborations show so much potential they should just go all-in, and that’s what Mendeley and Elsevier have decided to do. Think about it: researchers use Mendeley for its document and reference management, collaboration, analytics and networking tools. Elsevier not only publishes almost a fifth of the world’s scientific, technical and medical (STM) content, we also have a successful track record with indexing content from multiple publishers on researchers’ behalves through tools such as Scopus, Scirus and Reaxys. For Elsevier, we can build upon strong foundations in search and discovery by adding capabilities in document and citation management and sharing. 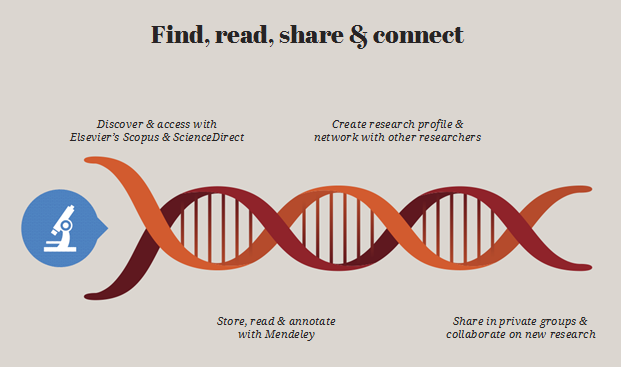 By offering integration between Mendeley, Scopus and ScienceDirect, we can make this combined platform the central workflow and collaboration site for authors. In addition, we will be able to provide greater access to a growing repository of user-generated content while building tools that will enable researchers to search this growing body of research more precisely. By joining forces, we will be in an even better position to support the needs of researchers. Our resources will enable Mendeley to continue building on its platform, keeping it free for individuals while introducing new content and interoperability that will make it even more useful. This partnership can have a huge positive impact on areas such as altmetrics, getting real-time information on hot articles across publishers based on Mendeley readership metrics, helping librarians assess their collections and rendering all publishers’ content more discoverable. We are committing to implementing Mendeley’s existing product development roadmap, and giving the company the space to “let Mendeley be Mendeley.” You see, Mendeley is a lot more than just a product; it’s a great company with a thriving, innovative culture and a lot of talented people. It’s open, social and collaborative, and it is important to us that it retains all of those traits. Victor, Jan, Paul and other senior managers will remain with the company to ensure a smooth integration and the continuation of Mendeley's vision. “Free” users who get 1GB of storage will get 2GB. “Plus” package users who pay £3.99 a month ($4.99 or €4.99) for 2GB will get 5GB. “Pro” package users who pay £7.99 a month ($9.99 or €9.99) for 5GB will get 10GB. “Max” package users will still pay £11.99 a month ($14.99 or €14.99) for unlimited space. Mendeley will remain a separate platform with a distinctive brand — the favorite daily destination site of researchers to check updates on their network, collaborate with other researchers, access their stored content, get alerts to relevant research domains, and make progress on their workflow efficiency and research in general. For institutions, the Mendeley Institutional Edition (MIE) will continue to be available. MIE is a tool that helps universities analyze research activity in real-time, providing a complement to the traditional Impact Factor system of academic citations. It also enables librarians to extract more value out of resources by optimizing their subscriptions and providing a better service to their researchers by aggregating anonymized statistics about faculty and student paper reading habits. We’ve also spent a good deal of time talking with the Mendeley team about a variety of current topics, including access policy initiatives across the globe, the Cost of Knowledge and the social media #mendelete campaign that ensued following leaked rumors of our talks. Victor and I both know there a lot more layers to Elsevier than many realize. This is a complex, dynamic, evolving company that cares about supporting the research community. And we know that means supporting a divergent set of perspectives and serving a variety of communities. But we’re totally aligned when it comes to the product, the vision and the benefits this union will deliver to the research community. Today is a great day for Elsevier, Mendeley and, more importantly, all our customers, users and communities. I want to welcome Mendeley’s employees, advisors, users and all their followers to Elsevier. We look forward to doing great things together for the research community. Check out the Q&A on the Mendeley blog. It is really not trivial to create a new citation style. Maybe a more friendly front end, where you can see an example and select the elements, change their order and attributes (italics, bold, etc) visually would be better. Two great precursors will lead to a novel composite. This is a unique opportunity for researchers. Thank for your answer. I was exactly talking about Elsevier's Article of the Future, I just didn't knew the name. But I was suggesting exactly that you improve the Mendeley in such a way that it is able to use the Article of the Future format. That would be perfect if we could read in our computer the articles in the same way that we do on the Science Direct webpage. Here's hoping that a knock-on effect of this acquisition will be the production of citation styles for all Elsevier journals on Mendeley to make everyone's life easier. Even with the recently launched Visual CSL Editor, it is not trivial to edit or create citation styles especially when every journal decides to have things done their own way. I am a big fan of Mendeley for organising my pdfs and sharing resources with colleagues but it often is a bit of a drag to use it as a cite-as-you-write tool. And no, my field of study is not obscure but it seems that epidemiology and veterinary medicine journals are not very well covered by Mendeley citation styles. I hope this will be the right partnership to give the researchers the opportunity to use electronic formats for publications that are not printed based. The old format of reading a pdf, adjusted to be red on paper, on a screen is completely absurd nowadays. It would be wonderfull if Mendeley will share a file format with Sciencedirect that allow to have the same page-viewing aspect with all the options of the workspace, that is now available on the web. It's time to left completely the printed paper and the associated display style. Correction -- in my previous post, I complained about the lack of an upgrade path for two collaborators. I made a mistake there -- my need is for more shared space than 100MB for two collaborators. I see that I can have more collaborators, but with the 100MB limit -- which we are fast approaching -- it does not help. My next option above free is $49/month, which is well beyond my budget. I need a way to pay a small increment for more shared space, or I will soon be forced to leave Mendeley. In other words, the upgrade paths do not seem complete and well thought-out. I hope Elsevier gives Mendeley the resources to upgrade their engineering, which, IMHO, is substandard. I use it mostly just as a reference/citation manager, but have found it buggy, flaky and poorly designed in numerous ways. Also, there's such a big gap between the freemium and paid modes for groups. To get more group space for 2 collaborators, I have to buy a 5-collaborator package for $50/month, which is way beyond my budget for a two-person team. There is an upgrade path missing here -- $5-10/month for an extra collaborator or something like that. Bottom line - I will probably be leaving Mendeley soon, before paying a nickel -- for the everyday frustration of substandard engineering and lack of the upgrade path I need. Thank you very much for your comment. I have shared it with members of the Mendeley team, and someone should be replying to you soon. I think it'd be great if there was a way to annotate PDFs anonymously and share them. This allows junior scientists evaluate articles publically without backlash from powerful senior authors! Thank you very much for your comment. I have shared it with Team Mendeley, and someone with get back to you soon. Annotations on PDFs are always personal and never made publicly available. The only circumstances in which annotations are shared is when collaborating within a private group within Mendeley, in which all the participants are known. This is a feature that allows multiple users to annotate the same document while they collaborate around those documents. I have been working on the commercial side of things for Mendeley, and we are aware of the issues/limitations with the current structure of the premium offering - we have been working to improve this, trying to ensure that we satisfy the needs of our many different types of end user more comprehensively. We will be working together with Elsevier to try to provide all types of users the best possible way to use &amp; interact with Mendeley, and will hopefully be able to provide you with a much more affordable way of collaborating soon. Thank you for your comment. I have passed it on to Team Mendeley, and someone will reply to it soon. thanks - as I said to Flavie above: We’re already talking to our new colleagues at Elsevier about including citation styles for all Elsevier journals in Mendeley soon. I shared your comment with Victor Henning, co-founder and CEO of Mendeley, and he said that Mendeley isn’t just about storage space (like Dropbox) but also about syncing your notes, highlights, keywords, and providing workflow tools. However, they’re always reviewing their pricing and taking community feedback into account. How about android app ? Hope you will take care of this android app also. I use Mendeley since 2011, fundamental for literature management and papers bibliography arrangement. I hope the free solution will remain available for users, now I have 2 GByte space for my files. 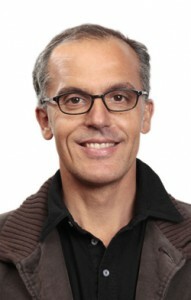 Hi Rob, I'm product managing Mendeley's new iOS app. There haven't been many updates recently because we've been re-writing the app from the ground up using our Open API, and a heavy focus on creating a stable and pleasant experience for all our users. This includes the much-requested annotations and highlights. We're currently in closed testing, and a release shouldn't be too far away.